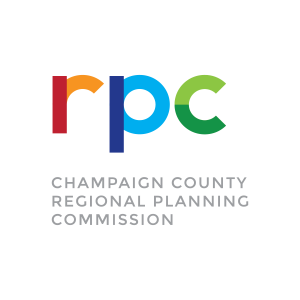 The Champaign County Regional Planning Commission is an intergovernmental membership organization that provides a variety of programming in the areas of regional, environmental and transportation planning; economic, community, and workforce development; social services; early childhood education; and technical assistance in East Central Illinois. As a multi-faceted government agency, the Commission administers over 100 federal and state grants and contracts with an annual operating budget of $25 million and a staff of over 230 professionals housed in 12 locations serving over 30,000 clients annually. In 2016, the Champaign County Regional Planning Commission reached a 50-year milestone in promoting, planning, and facilitating improvements to the health, safety, welfare, education, economic conditions, environment, and development within our region. We are proud of our many achievements over the past 50 years and look forward to continuing to develop collaborative strategies to improve the quality of life and economic vitality of our region. Formed in 1966, the Regional Planning Commission has spent 50 years cultivating partnerships and alliances that range from the federal government to local boards, councils, and committees. The Commission works collaboratively with stakeholders to address community issues, create and advance comprehensive plans and strategies, and provide quality services to the citizens of our region. As the Regional Planning Commission looks to the future, we will continue to seek new opportunities to expand and impact our community beyond the current measures of success. As we explore these opportunities, our work may take shape in new and exciting ways, beyond what has been the norm in terms of our service area and approach to programming. We will approach the future with innovative practices and solutions that will enable us to better serve community needs and support sustainability for future growth. The Regional Planning Commission recently rebranded itself to represent what the next 50 years of services will bring. Our new tagline provides the context for our daily efforts: PEOPLE.POSSIBILITIES.